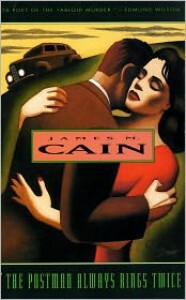 I've read two other Cain novels, Double Indemnity and Mildred Pierce. While I liked both of them, both of the film versions were far superior than the books they were based on. Since the 1946 filmed version of Postman is a highly regarded classic film noir, I'm kind of curious if Hollywood's score is going to be three-for-three. Normally I would have this posted under a "0% finished" update, but BL is being super slow today. I haven't been able to add it to my shelves at all!